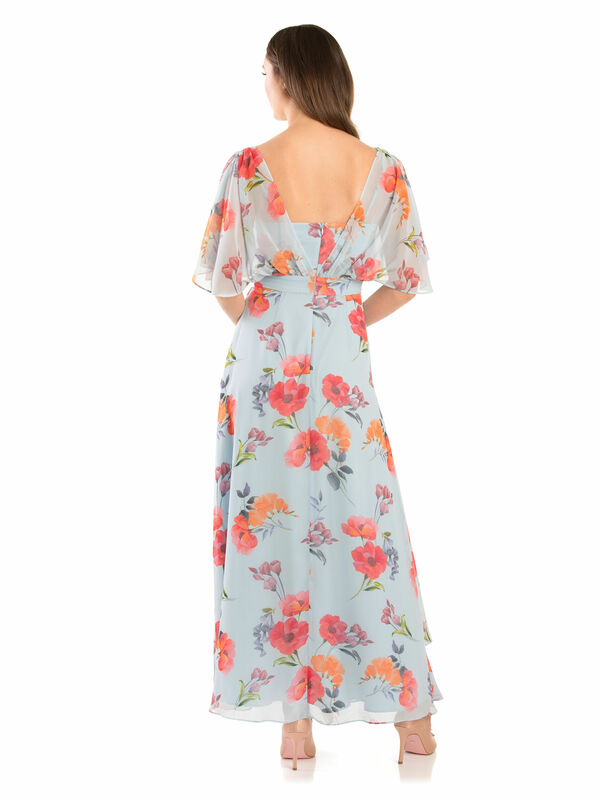 Dream All Day Maxi Dress https://www.review-australia.com/au/dream-all-day-maxi-dress-blue/RE19DR358.REBLU129.html Romantic floral prints combine with flowing chiffon ruffle layers to create this Dream All Day Maxi Dress. Fitted towards the ankle for an elegant finish, and with a wrap front bodice to add to the delicate aesthetic. It is fully lined for a flowing design and has a concealed zip at the back for a comfortable fit. The short chiffon sleeves drape elegantly over your shoulders for a softer approach. Dream All Day Maxi Dress is rated 4.9 out of 5 by 27. 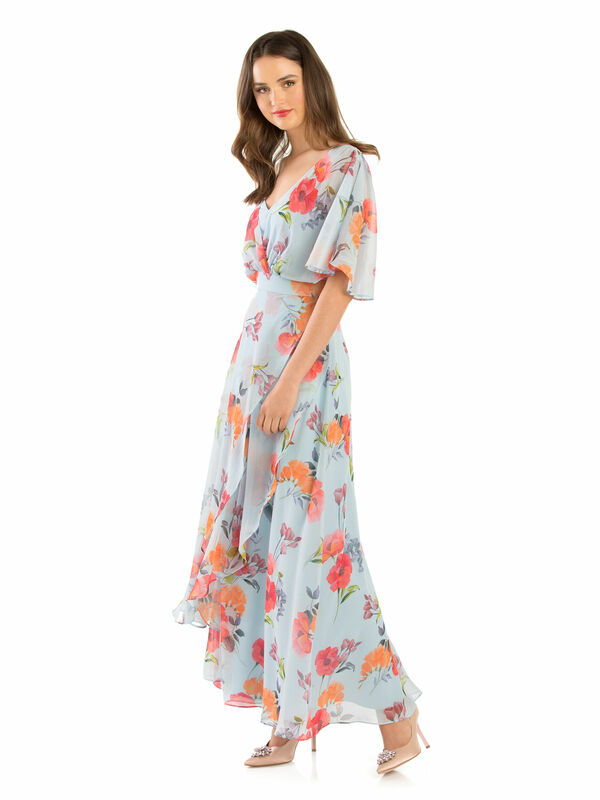 Rated 5 out of 5 by Sajini from Lovely clothes and great staff I was looking for a formal dress and accidentally walked in to Review store at Chadstone. I'm a plus size and have been struggling to find something that suits me. Helen, who's a staff member at the store was amazing!! She understood my specifications and helped me find the perfect dress! A few days back I took my best friend to the store and Helen again did a fantastic job!! Love the dresses in store!! Each and everyone one of it is beautiful. Hope they will make more dresses with sleeves. Keep up the good work! Will definitely go back soon! Rated 5 out of 5 by Anonymous from Beautiful Dress I bought this dress last week for a friend's wedding and the fit was absolutely beautiful! I normally wear a size 16 and am wider across both back and bust, however ended up purchasing a size 14. The bodice was quite flattering against my curvy body and the contrast between the soft blue and printed flowers was gorgeous against my skin tone. Rated 4 out of 5 by KathyB from Great Dress!! Wears well and is very flattering I bought this dress for my niece's wedding later this year. i then returned it as it was very long (I'm average height and it trailed) However, I loved it so much that I bought it again and will get it shortened. It fitted beautifully and the rest of my family commented on it except the length. Rated 4 out of 5 by Shanmama3 from Perfect for a garden wedding I bought this dress with the intention of wearing it to a Garden Wedding that's coming up. This dress is beautiful. I'm only short so it does drag on the ground, but in my opinion it adds to the flowy aspect of the dress. It's super lightweight but still high quality. I love it. Rated 5 out of 5 by Lisa19 from Such a flattering fit I love this dress so much, it is truly stunning, when walking I feel like the dress is floating along with me, I am 167cm tall, it is a little long and will need to be hemmed, the top half is extremely flattering, love the sleeves. Rated 5 out of 5 by AngelaB01 from Gorgeously feminine! I am so pleased with my purchase. The staff were so helpful. I feel truly special in this dress and look forward to wearing it this Friday at a wedding. It goes perfectly with my red heals and clutch. Rated 5 out of 5 by Bellaelska from Float like a butterfly! I bought this to attend a very special occasion. The material moves in perfect unison with my body - flowy skirt and sleeves that drape - When I walk, I float like a butterfly. I love this dress!